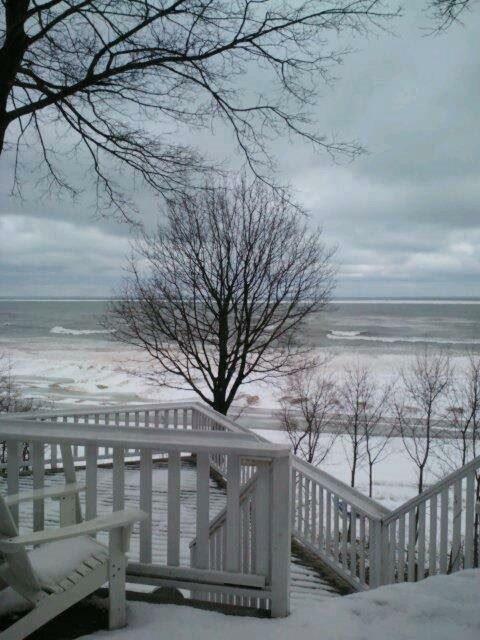 Come stay at a beautiful home on Lake Michigan. 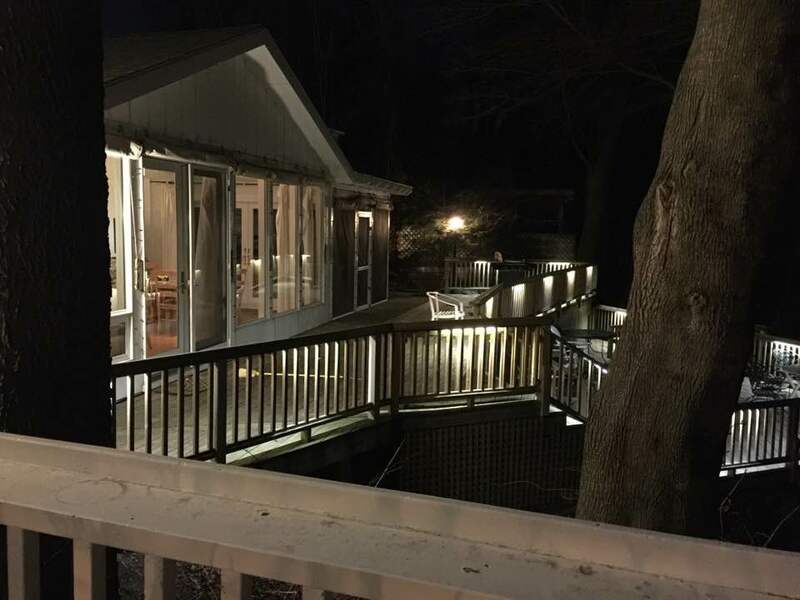 Enjoy the open floor plan, 2 bathrooms, washer/dryer, comfortable furniture, fireplace, large windows and a master bedroom with views of the lake, The Master bedroom has cable tv. 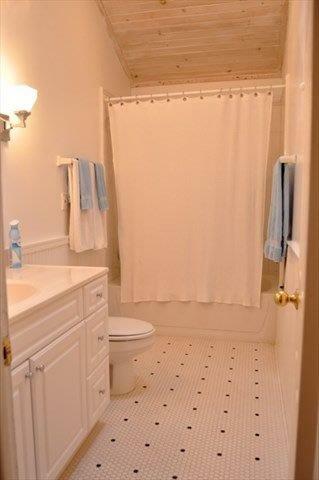 The main bathroom has a fabulous jetted tub to take away the stress of the city. 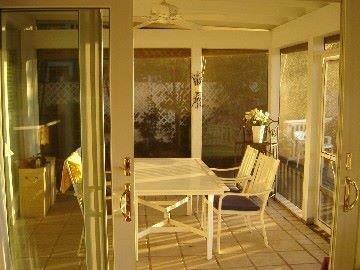 The screened in porch is attached to the master bedroom and is easily accessible from the living room. 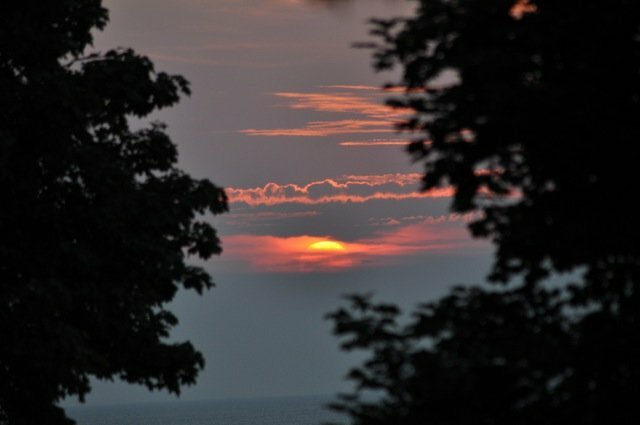 It's an ideal place to enjoy an evening glass of wine and watch the sunset over Lake Michigan. Enjoy the spectacular sunset views from inside and out. It is great for family vacations, romantic getaways for the weekend or family reunions. 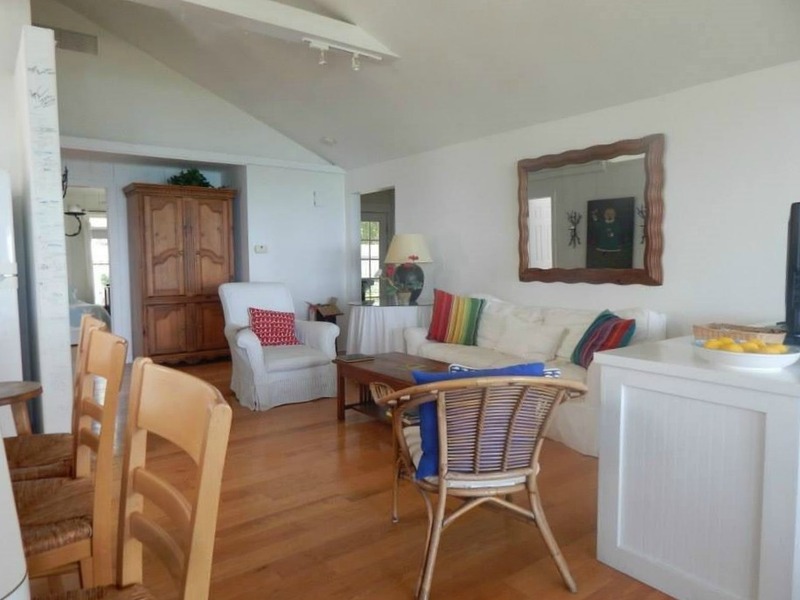 Whether you are coming to enjoy the fresh air, star-shooting sky or bonfire on the beach, the Sawyer Cottage has a lot to offer. Come and create water-filled memories that will last a lifetime. 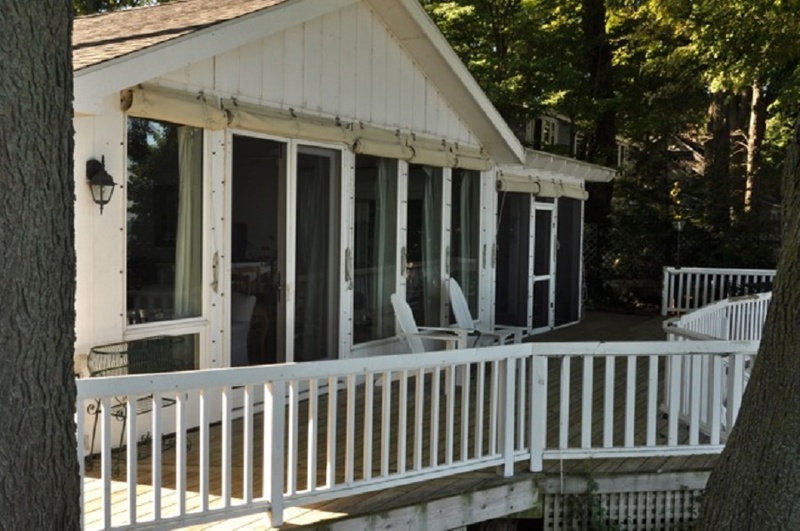 The Sawyer Cottage is next door to the Brandon Cottage, with separate sitting areas and decks for each family to enjoy. Yes, you are within earshot of each other, so it is fun to rent both places together. Since the walkway leading to the private beach area is in front of the Sawyer Cottage living room window, it is easy to see the walkway entryway. 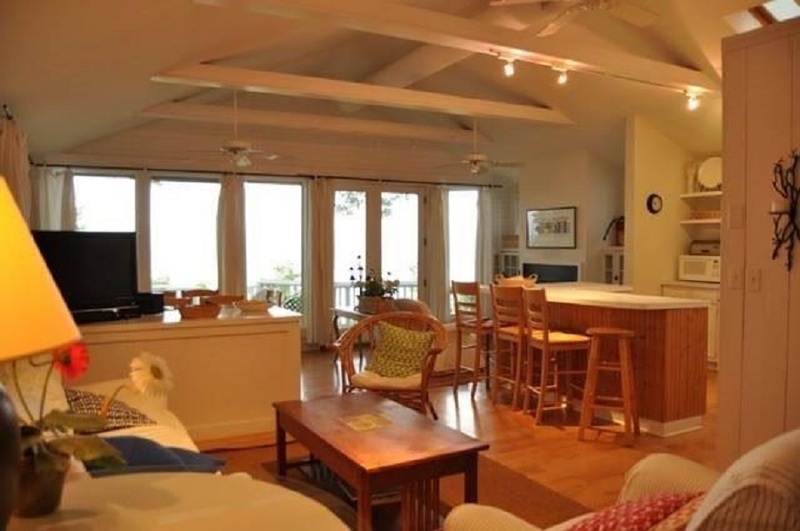 While it isn't commonplace, you may see guests from the other 3 cottages as they use the walkway to the beach. 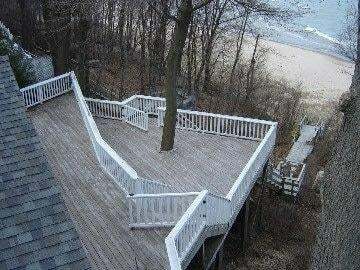 There is a public access point on the opposite side of the Brandon Cottage, so often the other cottage's take that shortcut of just 26 steps to the beach. 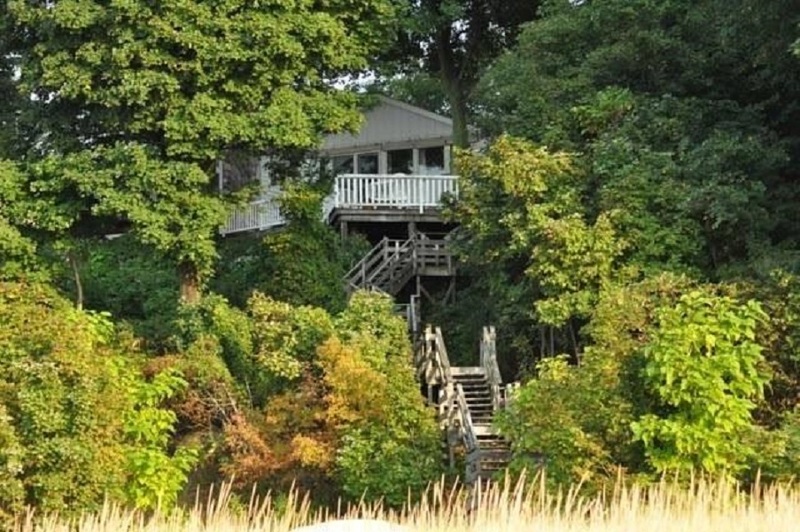 The Sawyer Cottage is situated with a private deck sitting space, with 72 steps down to the water. 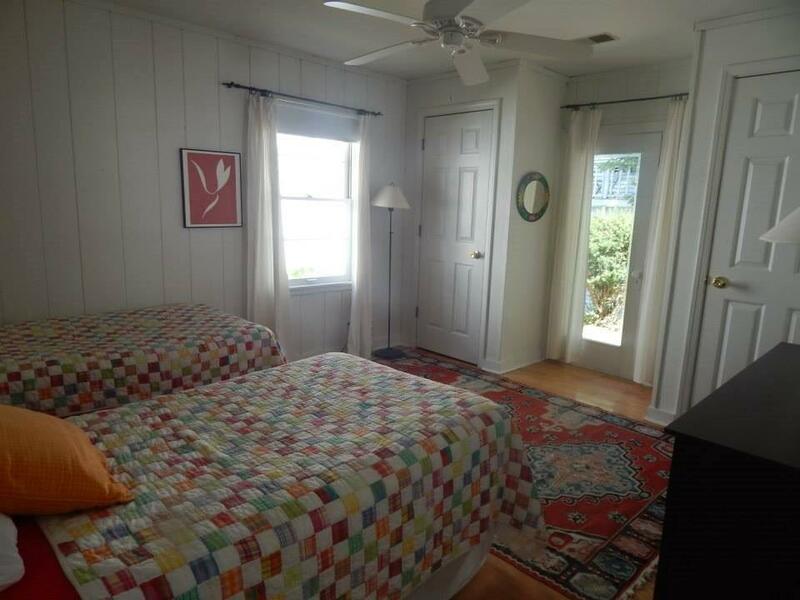 The "private" beach is actually shared by 4 cottages (Brandon, Grace and Alex) with a shared walkway to the beach area. 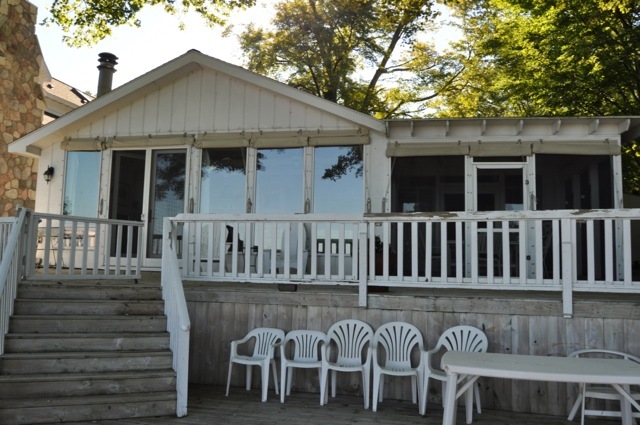 This one-story home has the closest access to the walk-out 2-level deck (shared by the Brandon, Grace and Alex Cottages) that will guide you down to your Lake Michigan beach area. 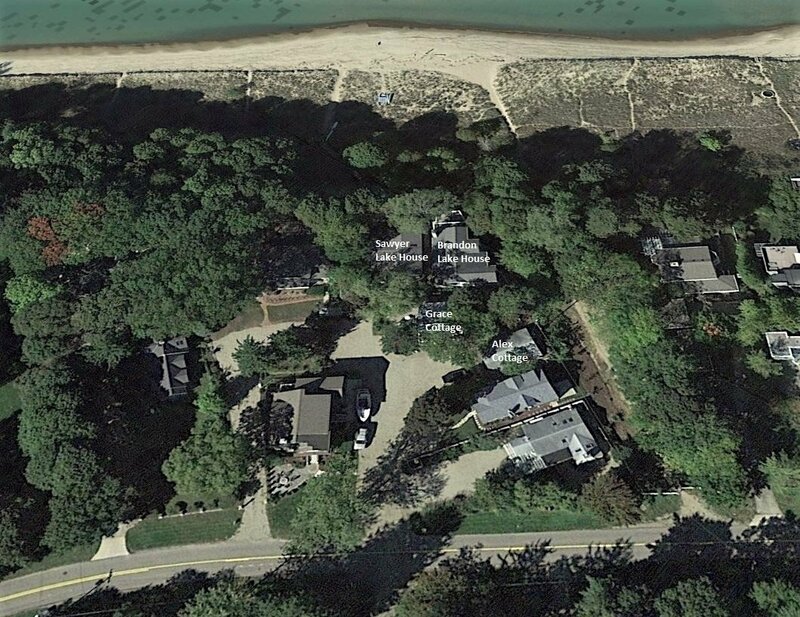 ("Private beach" in Michigan means that anyone outside these 4 cottages are not supposed to stop, sit, set up their beach gear and/or have a campfire, etc. on this private beach space. Still, with Michigan Beach Walker laws, anyone can walk through the private beach area, even though it is deemed "private.") . 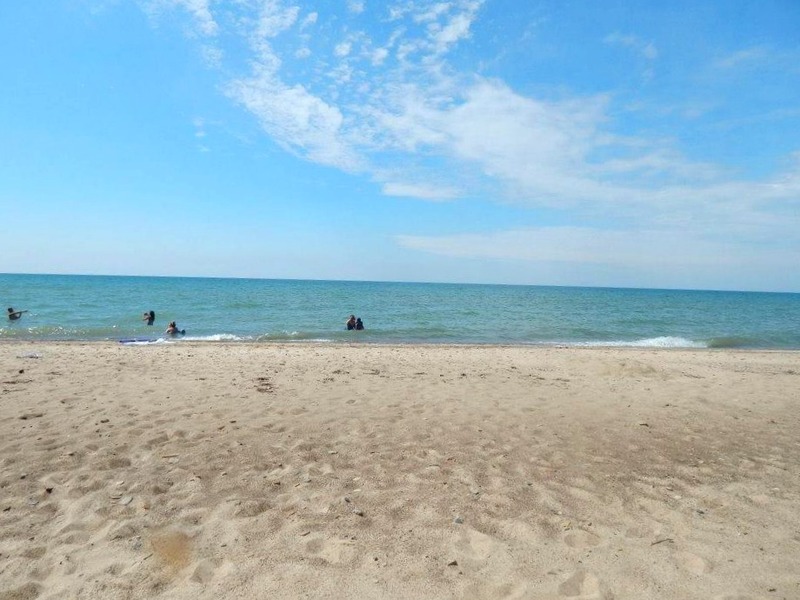 This private" beach area is situated on the shoreline between the Sawyer and Brandon Cottages, directly on the shores of Lake Michigan. 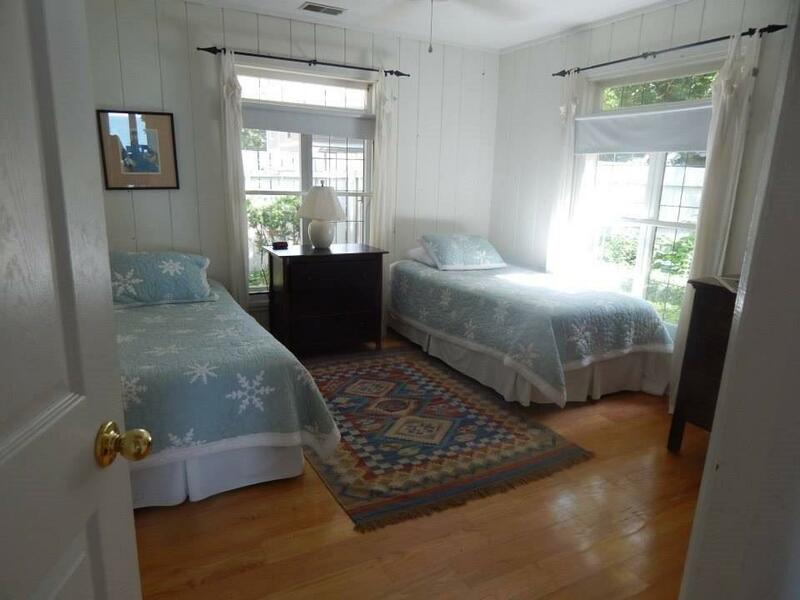 Sawyer Cottage at Union Pier is open all-year round. From the beautiful fall colors in late September to the sounds of the various birds mid-spring, the cottage is perfect for tranquility, rest and rejuvenation. There are also 3 other cottages that surround the Sawyer Cottage, which makes vacationing with guests or extended family perfect. Come reunite at Union Pier. ** Parking is at a premium at our Union Pier location. While we do not have an on-site parking attendant, please keep the neighbors in mind and park as close together, and as close to the cottages as possible. 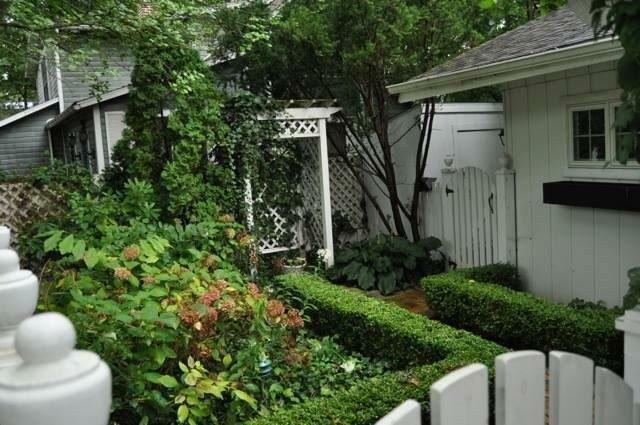 2 spaces have been allocated to the Sawyer Cottage. Coffee Pot: Traditional auto-drip coffee pot. Bring your ground coffee. We have the standard filters. Firewood: Yes! We have firewood provided for you under the blue tarp across from the kids play area. Privacy: While our guests have traditionally been very respectful of each other, the cottages are very close together with shared walkways to the cottages and to the beach. Blue Chip Casino: A larger casino. Located in Indiana, just 22 minutes away from Union Pier, try your luck at this exciting casino! Big 10 University-Notre Dame! Just a half-hour from this prestigious school in Indiana. Round Barn Winery: A brewery/distillery and a winery all combined in one trip. http://www.roundbarnwinery.com/ Just 14 miles from the Union Pier Cottages, about a 20 minute drive. It was a cozy place with a beautiful view!, Great place to stay any time of year! Kari, we are so glad that you had a great stay at the Sawyer House. You just can't beat being right on Lake Michigan, and,as you said, it's great any time of year. Do come back again! We have now stayed are all 4 cottages and we love them all! We had a Great time look forward to coming back soon!! Jennifer, we love our returning guests reviews! 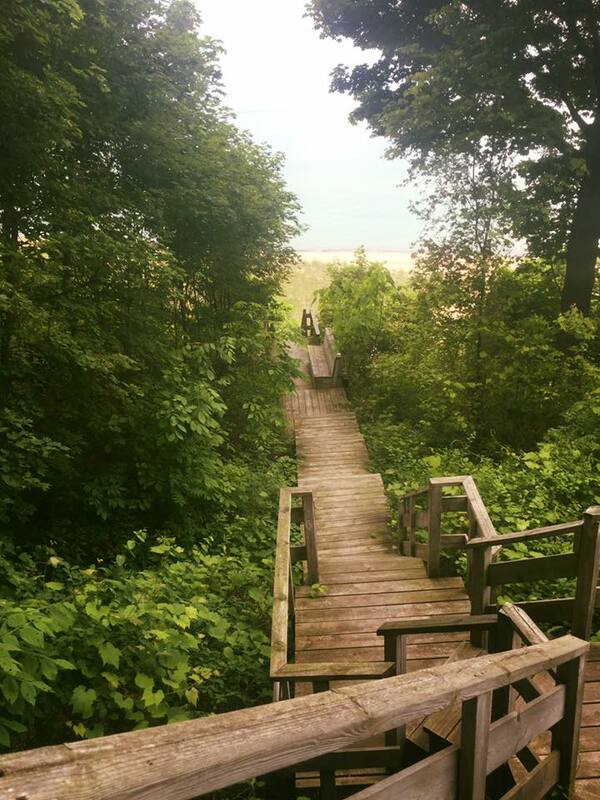 The Union Pier properties are pretty special, and being right on Lake Michigan makes it the perfect spot to be, no matter what sesason you are there! We look forward to your next visit. Elizabeth, we're so happy that you enjoyed staying at the Sawyer Lake House. 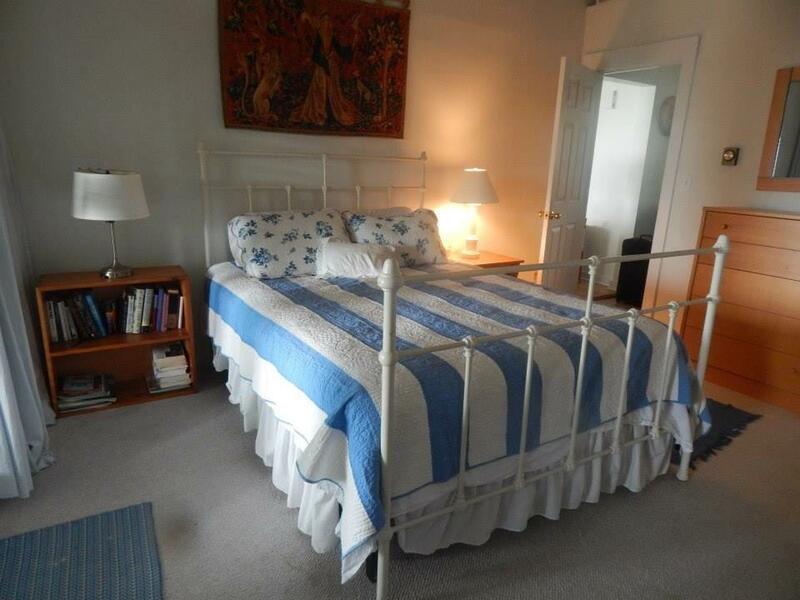 It's such a great property, plus being right on Lake Michigan gives it even more added charm. We hope to work with you again! 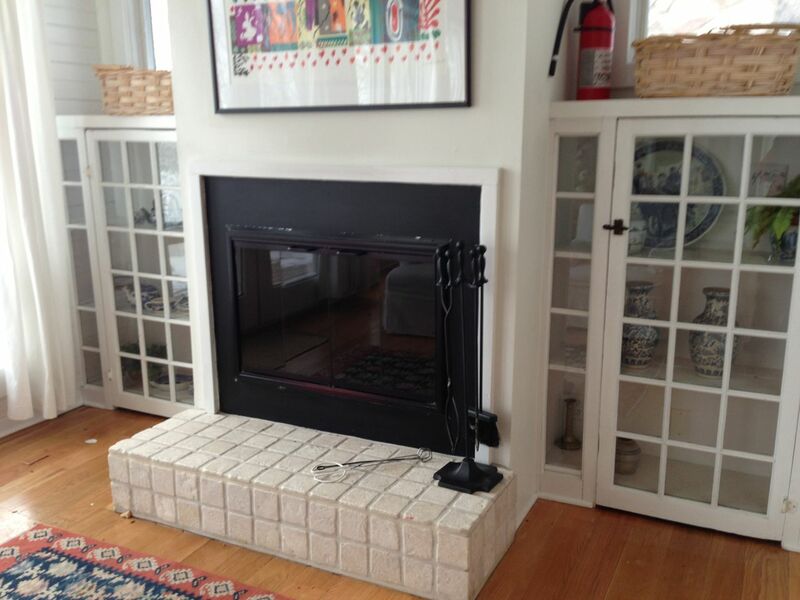 Amy, a fall weekend, a fabulous fireplace and a view of Lake Michigan makes for a perfect girlfriends get-away! We are so glad that you chose Sawyer Lake House for your fun weekend. We'd love to host you again in the future. We enjoyed our first sisters' weekend at the lake house and loved it! Beds were comfortable, the kitchen was well stocked (perhaps a new saute pan would help), and the view/beach access was amazing. I think that is why we all come to Union Pier! We are looking forward to returning next year. Leanne, we love the idea of a sister's weekend, and that you went to the Sawyer Lake House to do it! Union Pier is a great city, and being right on Lake Michigan is a special gift. Walking on the beach, no matter the weather, is a wonderful experience. We'll look for you and your sisters again in the future! Anne, we are thrilled that the Sawyer House worked out so well for you. Being right on Lake Michigan makes it even more special I think. We'd love to work with you again soon. We loved the Sawyer Cabin. 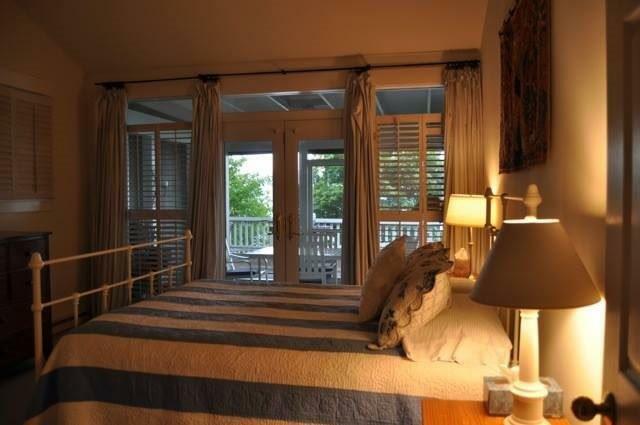 The rental was easy and we really enjoyed the lake-view and sounds of the waves from the master suite. 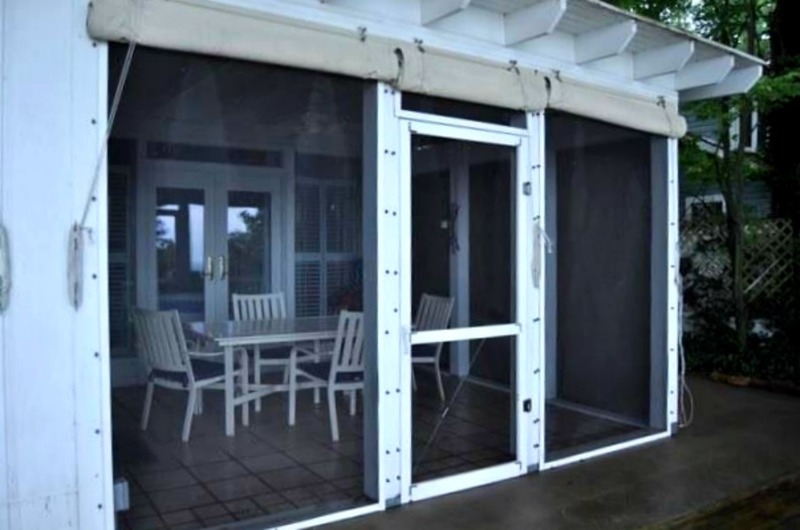 The screened in porch was perfect for playing board games when it rained. Ryan, so happy to hear that the Sawyer House fit your needs. 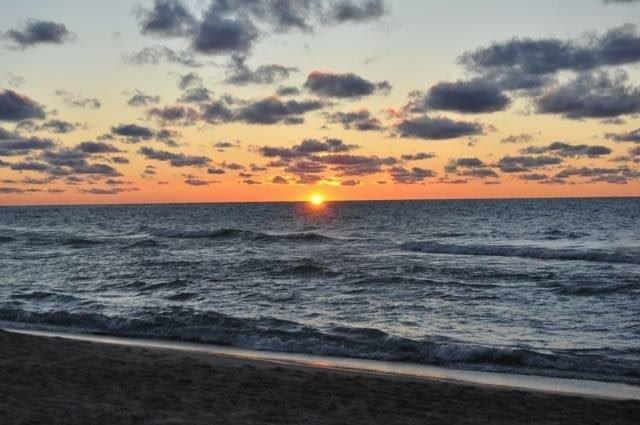 The sounds of waves from Lake Michigan can be so mesmerizing, a great way to be lulled to sleep! We hope that you come back again. Sawyer Lake House is the perfect location and layout for a small gathering. Last year, our first, we had four adults and this year we had three. 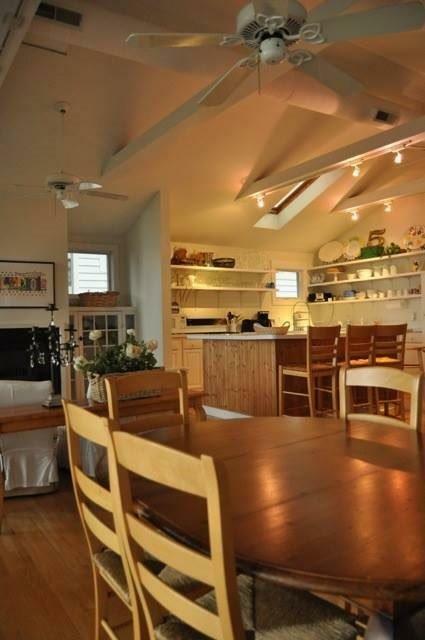 The floorplan allows ample space for crafters, all with such an amazing view of the lake! The bedrooms are spacious and you can have privacy if you want, but the open living space allows for many shared activities. 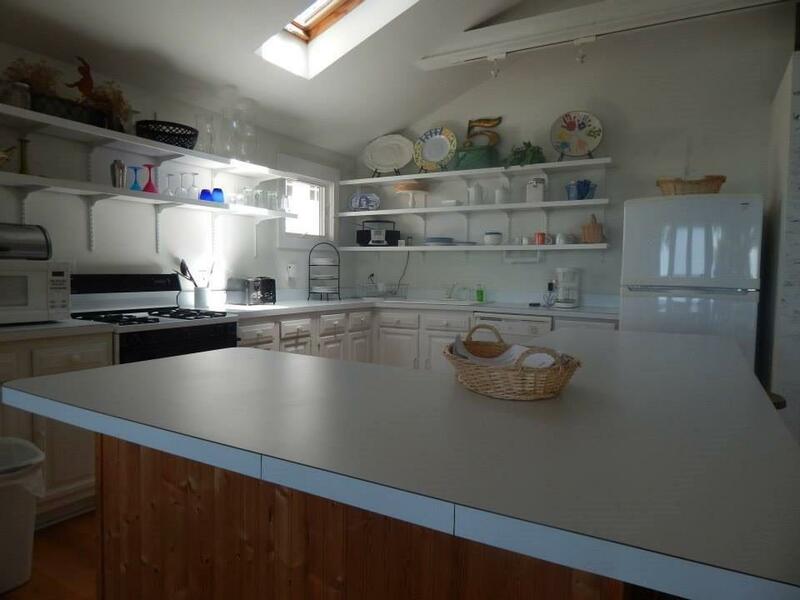 The kitchen has a good layout and the bar (with barstools) gives plenty of space for carry-in or buffet style meals. I’m already looking forward to our next visit to Sawyer Lake House! Hi Beverly, we are so glad that you enjoyed SawyerLake House again this year. Thanks for the wonderful review. We love that you and Beverly will be coming back again next year for your crafting time together. What a perfect "sister" thing to do. This is the second year my sister and I rented Sawyer Lake House for our annual Sisters Week. She lives in Wisconsin and I live in Ohio so it’s a perfect location for us to meet. We are both crafters, and the cottage provides the space we need and a very inspiring view and sounds to inspire us. We absolutely love the cottage and plan to return for many years to come. Hi Marilyn, we love that you have returned to Sawyer Lake House and plan to do so again. How cool to do a crafting weekend with your sister - love it! We're happy that it works out so well for you both. I booked the Sawyer house as a gift for my parents. They were floored it was so nice! They enjoyed the quiet, the beach, and the comfortable house. Thanks for helping me set it up. My parents had a wonderful time! Lucas, we are so happy that your parents enjoyed the Sawyer House. 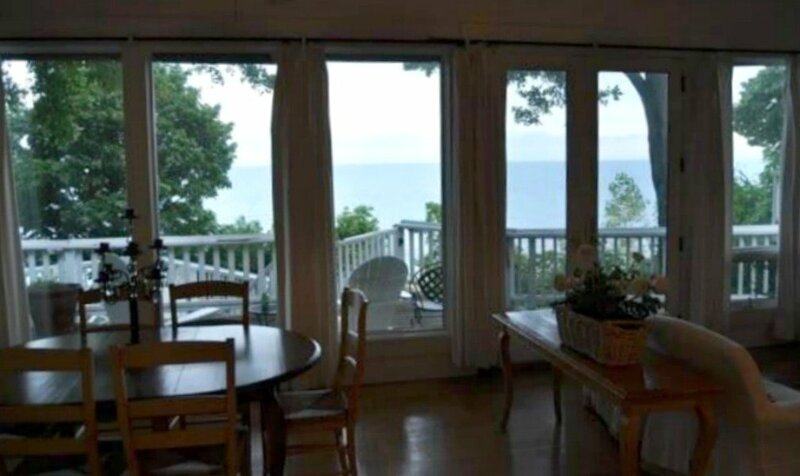 Magic happens when you stay right on Lake Michigan, and the Sawyer House is no exception. You are a pretty special person to set this up for your parents, which makes it even better that they enjoyed it as much as they did. 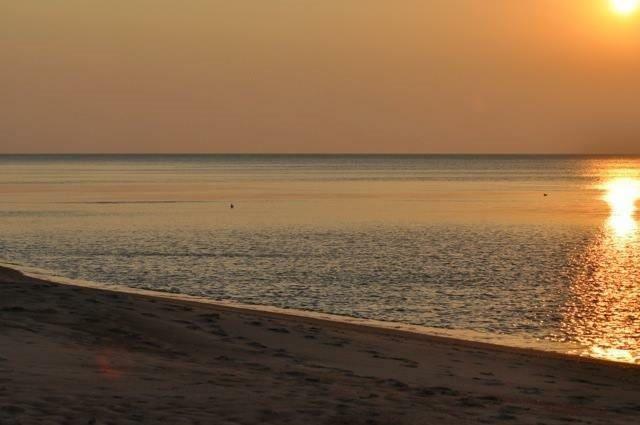 We hope that you all come back again or try one of our many other Michigan properties.